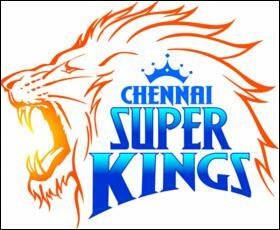 Home » Sports » Chennai Super Kings Wins Indian Premium League 2011! Chennai Super Kings Wins Indian Premium League 2011! The reigning champions Chennai Super Kings(CSK) have once again won the title as Champions of IPL 2011. Chasing a mammoth victory target of 206 runs, Bangalore could manage 147/8 as Ravichandran Ashwin took three wickets. Ashwin had Chris Gayle caught behind by MS Dhoni for a duck as Bangalore got off to a disastrous start. Ashwin struck on the fourth ball of the RCB innings to give CSK the first breakthrough. Ashwin struck again in his next over when he clean bowled Mayank Agarwal by a carom ball. Shadab Jakati then dismissed AB de Villiers and Luke Pomersbach in his successive overs. Jakati first trapped de Villiers plumb in front of the wicket and in his next over took an easy return catch to dismiss Pomersbach. Virat Kohli hit a six and a four in his 32-ball 35 before he was trapped plumb in front of the wicket by Suresh Raina. Ashwin then took his third wicket by taking a return catch to dismiss RCB captain Daniel Vettori for a first ball duck. Earlier, Murali Vijay’s 52-ball 95 and Michael Hussey’s 45-ball 63 powered Chennai to 205/5. Sreenath Aravind dismissed Vijay and MS Dhoni off successive deliveries but that was little consolation for RCB as the damage had already been done. Vijay’s knock was studded with 6 sixes and 4 fours and he was caught by RCB captain Daniel Vettori at mid-off. On the next delivery, Aravind had Dhoni caught by Virat Kohli at long-on. Dhoni, who came in at number three, hit 2 sixes in his 13-ball 22 before falling to Aravind. Chris Gayle dismissed Albie Morkel and Suresh Raina off successive deliveries to place CSK at 199/4 but Dwayne Bravo hit the last delivery for a six to take CSK to 205/5. Hussey put up a 159-run stand with Vijay before Jamaluddin Syed Mohammad had him caught by Abhimanyu Mithun at long-on off a full toss. The Vijay-Hussey stand is the highest partnership for any wicket for CSK in IPL. Hussey hit 3 sixes and 3 fours in his 45-ball 63 before falling to Syed. Hussey reached his fifty off 40 balls and alongwith Vijay brought up CSK’s 150 in 14.2 overs. Vijay hit a 29-ball fifty and alongwith Hussey brought up CSK’s 100 in 10.3 overs. Vijay’s 50 is the second fastest half-century by a CSK batsman. Vijay and Hussey brought up Chennai 50 in the fifth over and apart from the big shots, the highlight of their partnership was their superb running between the wickets. The start came after Chennai captain MS Dhoni won the toss and chose to bat. Chennai are unchanged for the sixth game on the trot and Bangalore have also retained the eleven that beat Mumbai Indians on Friday.